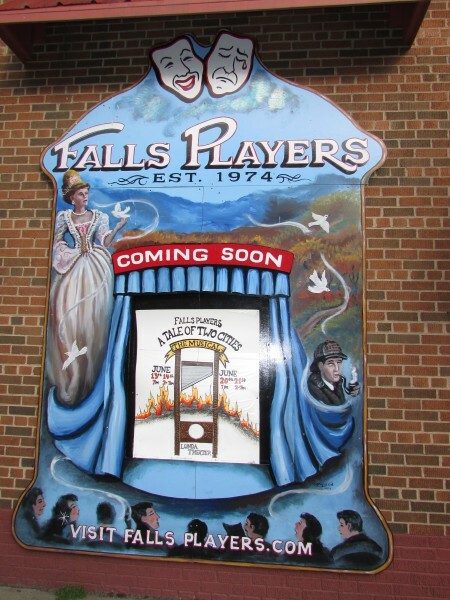 Black River Falls means a lot to us, and it had been too long since our last visit. 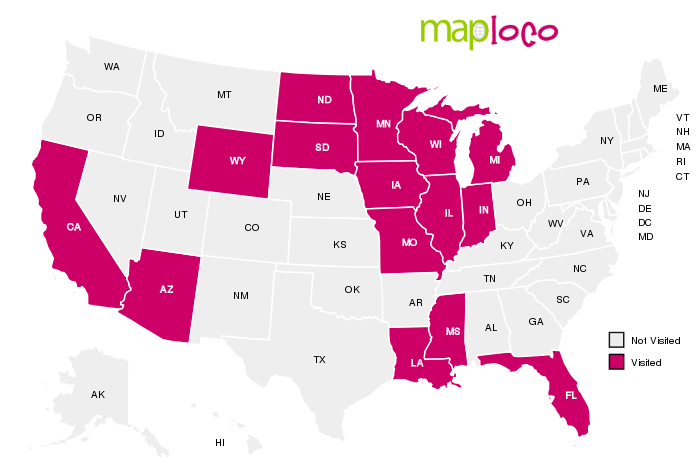 The last time here consisted of two scuba dives in mid-summer. 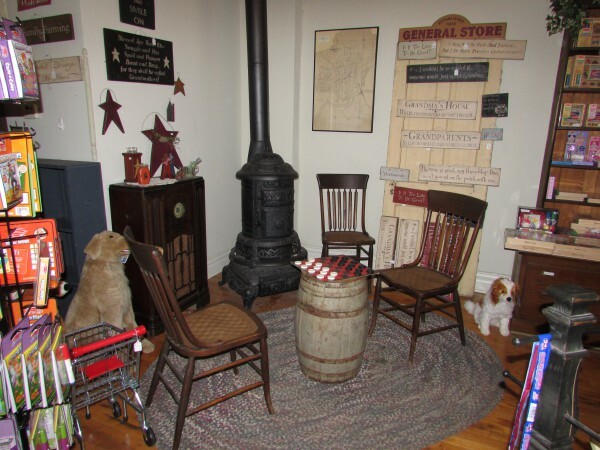 This time we were here to explore the town and discover more of the history of this friendly community. 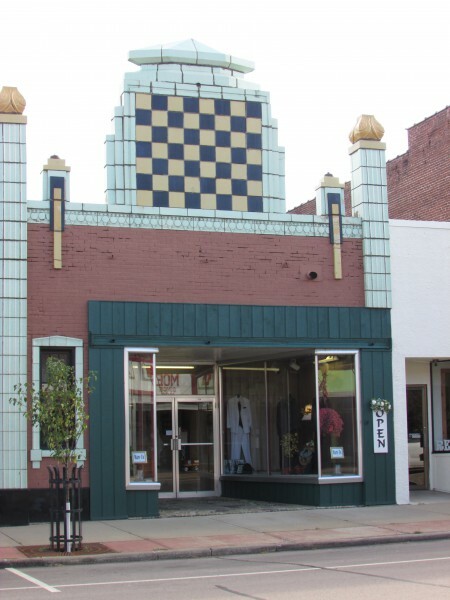 It is located in Jackson county and is the county seat as well. 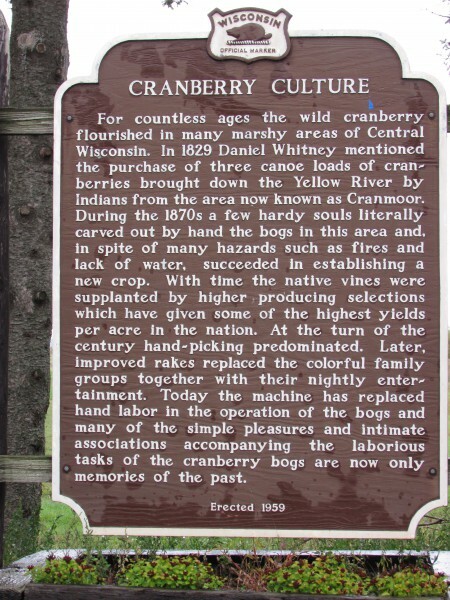 Jackson County is cranberry country, and we went by many bogs as we traveled here after a brief stop in Wisconsin Rapids. 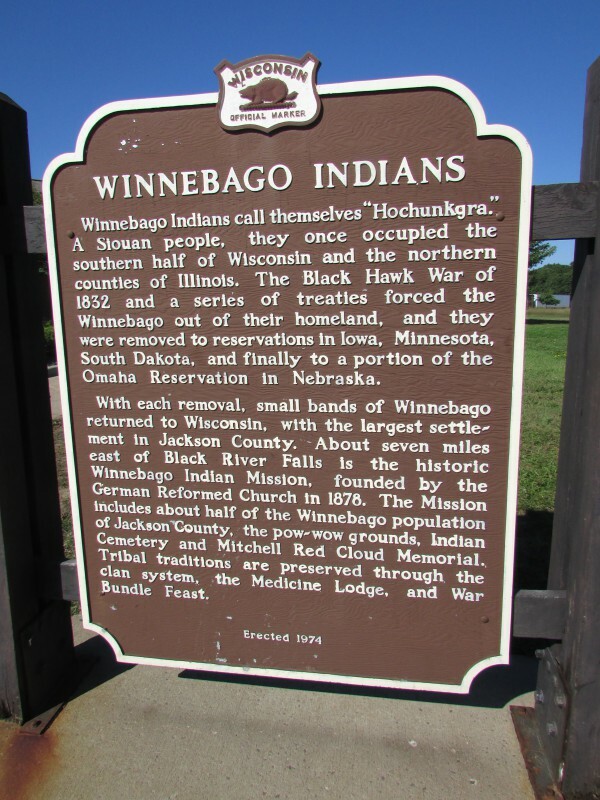 Also saw a historic marker. 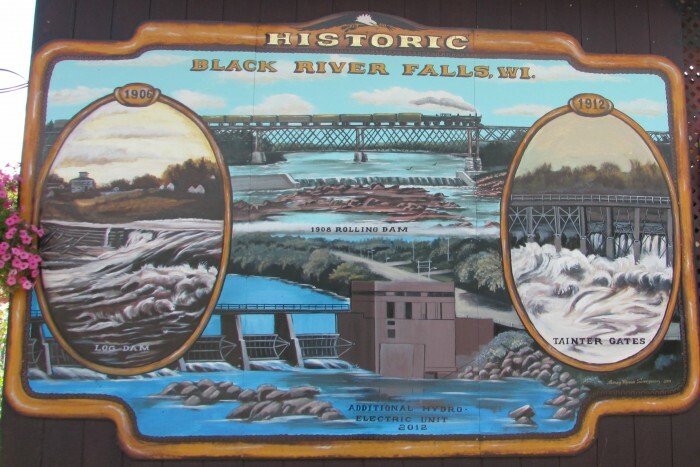 Jackson County is also home of the rare Karner Blue butterfly, and Black River Falls has a Karner Blue Festival every July. 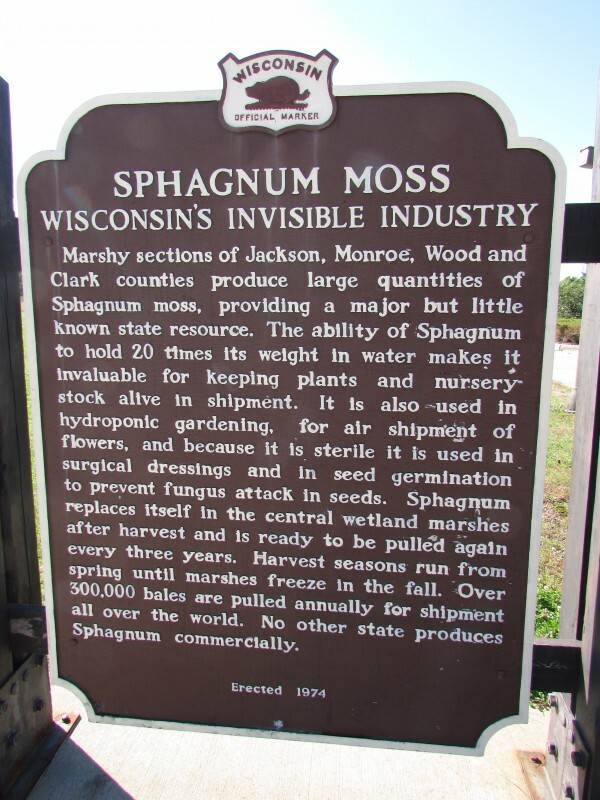 If you travel south Black River Falls on I-94 E, take exit 53 to see a historic marker on “Sphagnum Moss” and the Winnebago Indians (Ho-Chunk), the most prominent tribe in Central Wisconsin. 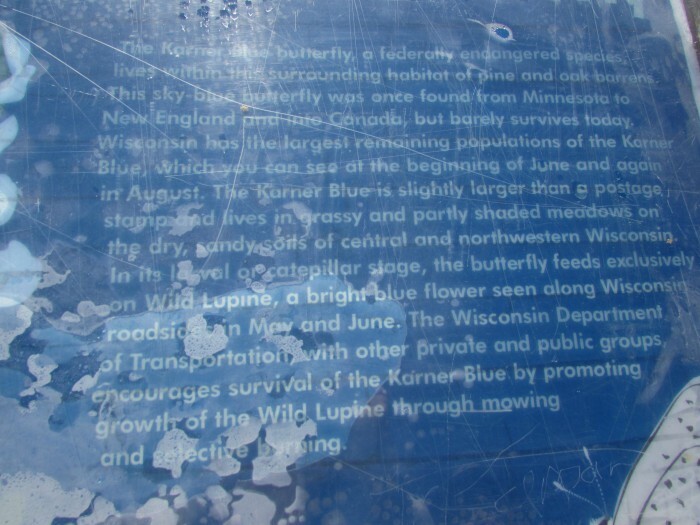 Also a sign about the Karner Blue, it was badly damaged by water and hard to read. 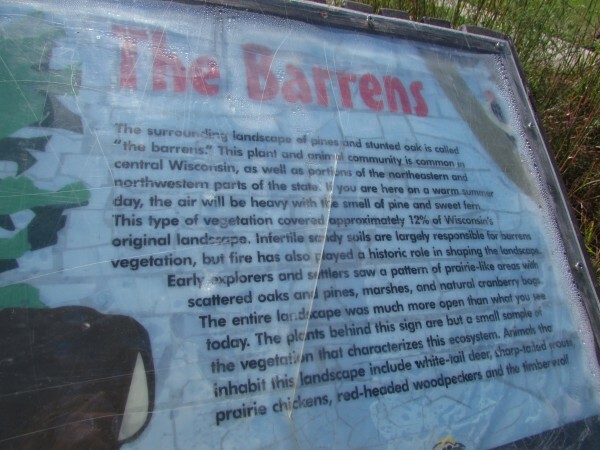 And a sign about “The Barrens”, describing the landscape of the area. 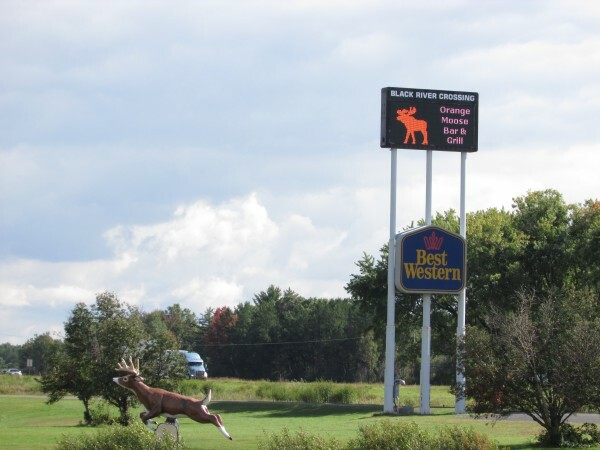 We reach Black River Falls as we continue up 94, you see the sign “Black River Crossing” (Oasis) and a view of the Best Western Arrowhead Lodge with a pond. 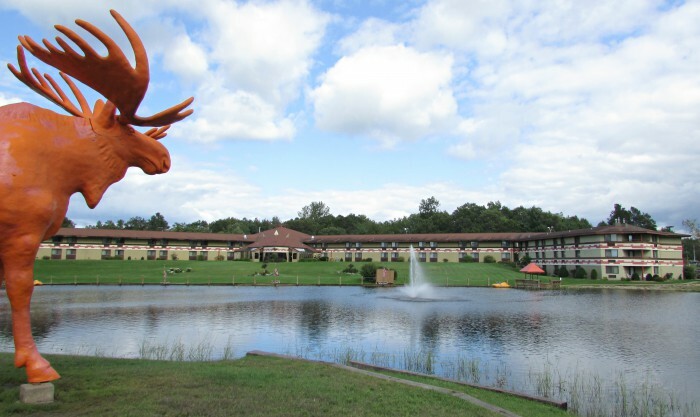 You can take your picture with a big Orange Moose and mouse with cheese here (top photo). They are accessible from the parking lot at the oasis. Also a leaping deer. 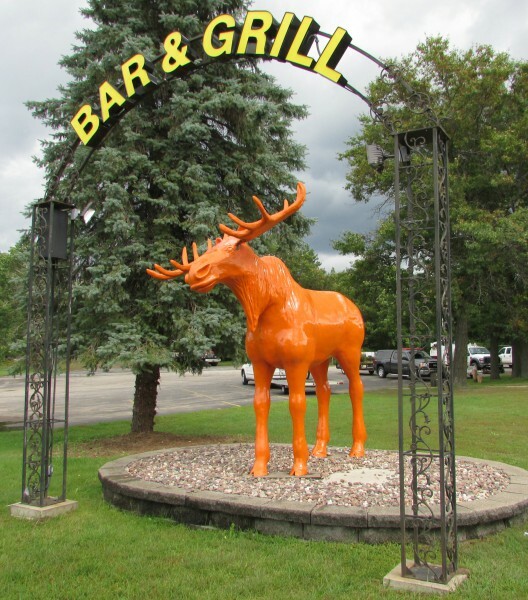 Another smaller moose leading to the hotel, where the Orange Moose Bar and Grill is. 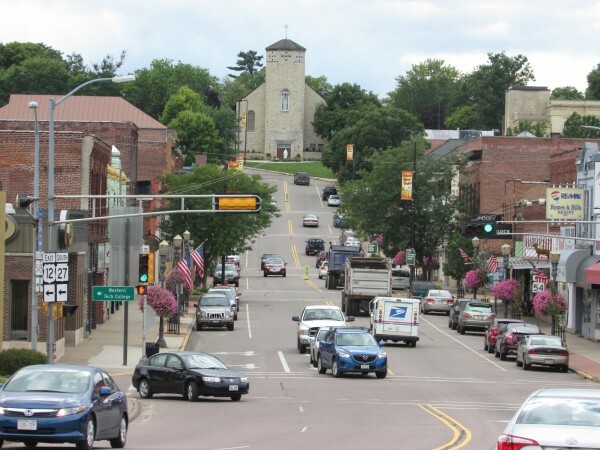 In this area is also The Mocha Mouse, a coffee house that also has Wisconsin gifts to remember your visit here. We continue up the driveway and turn left, heading toward downtown. We go past the Pilot Flying J Travel Plaza, another place we enjoyed stopping at in the past. Ten years ago they had their own restaurant called The Cookery, it has since been converted into a Denny’s. We used to enjoy a great buffet there back then. We didn’t eat there this time. 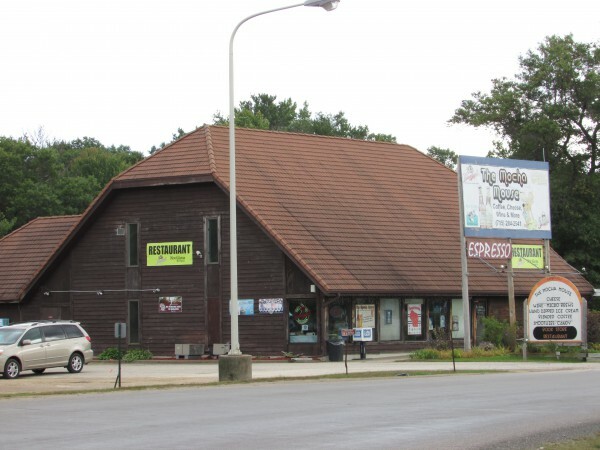 We ate lunch at the Norske Nook in Osseo, a favorite of mine for over 25 years. I introduced Al to this restaurant over 10 years ago and he loves it too! Let’s head downtown to see the sights. 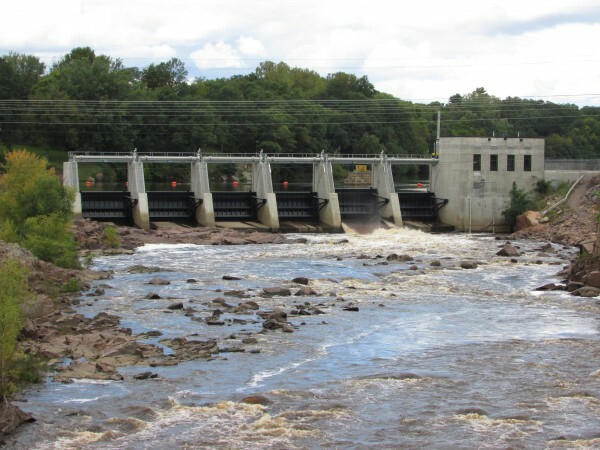 Let’s head downtown, crossing the Black River bridge, to our right is the dam, generating power for the community. It was completely rebuilt by 2010. Our visit downtown had many nice stores and the lamp poles had flower baskets hanging from them. 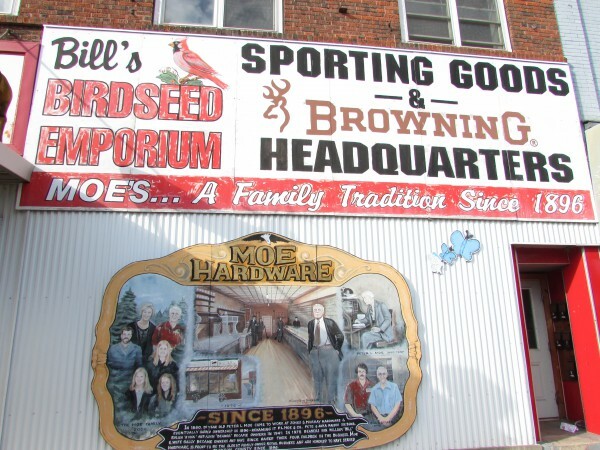 We turned right after crossing on the historic 1924 bridge and went to the Chamber of Commerce to get more publications on the area. The staff there are happy to answer your questions. 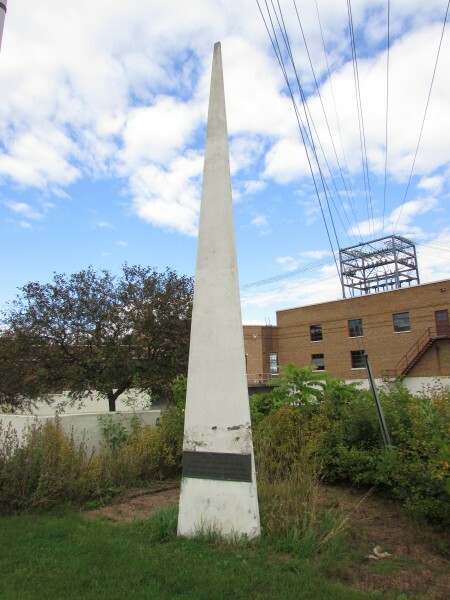 Across from the Chamber is a monument marking the site of the sawmill near the power plant. Back downtown was noticed how well kept the buildings are and there were even murals on the sides of many of the building walls. They profiled BRF early history. Here are a couple of them. 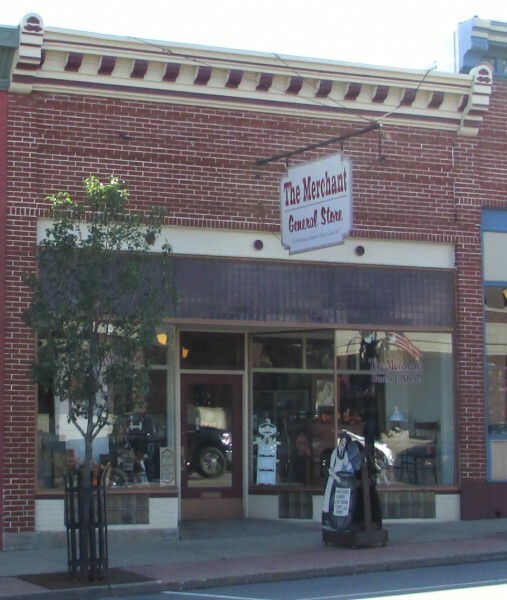 Other historic buildings downtown. 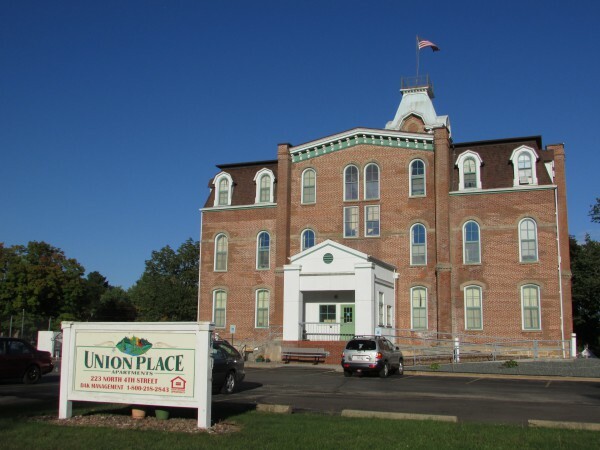 This used to be Union High School, now an apartment building. 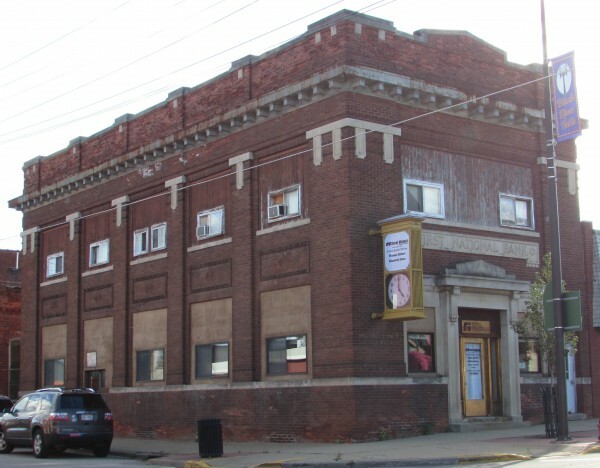 Former First National Bank building, now Rural Mutual Insurance. Mary J’s, an interesting building. 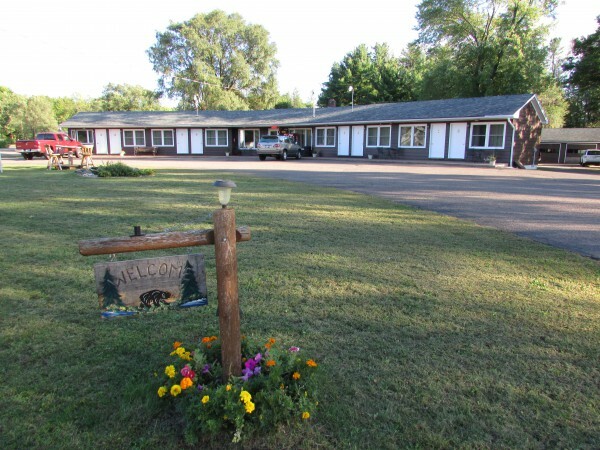 It was getting late and we were tired, so we headed to where we were staying for the night, the Fall’s Motel. We had stayed there once before in 1999. In the morning we had a free breakfast there and it only cost $60 for the night. Our last stop before heading home, our favorite deep lake for scuba diving, Lake Wazee. 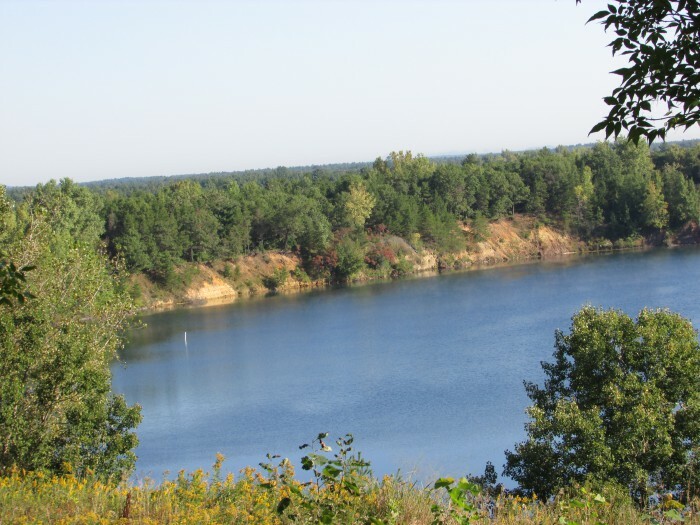 A former quarry, it is the deepest inland lake in Wisconsin and even has a shallow beach at one end. We have dove as deep as 100 feet here, the max depth is 355 feet. Tech diver students from all around come here for training. Keith Cormican of the Wazee Sports Center has the certification to provide this training. We have known him since 2000, when we made our first dives here. 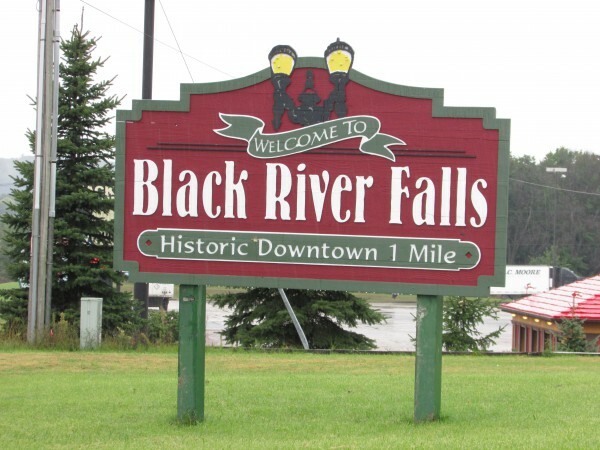 This concludes our visit to Black River Falls, we enjoyed seeing the old sights and plan on coming back to dive next year after getting back in shape again. 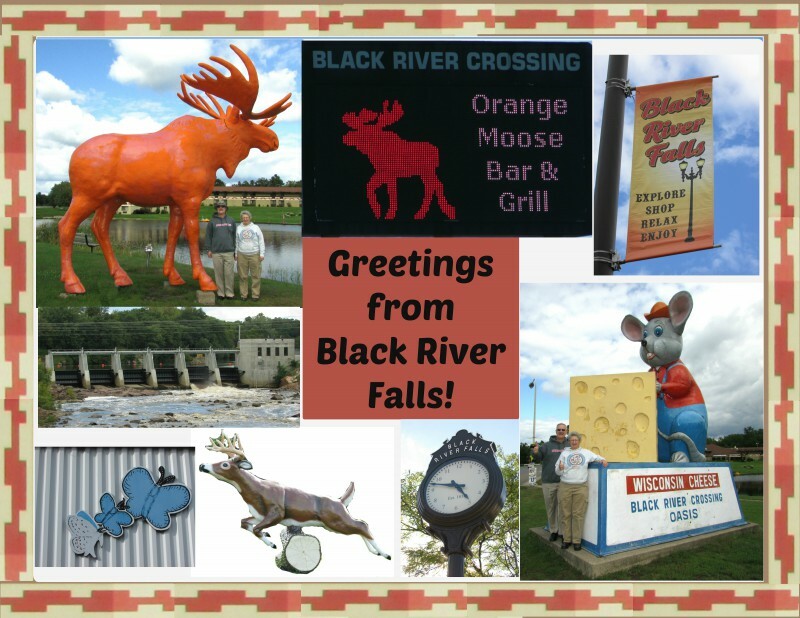 One last look at the Black River Crossing sign, we will be back orange Moose!